Last year I did the following post on plum wine. A couple of days ago I did the final bottling and it turned out very well; it tastes more like brandy than wine but it’s very drinkable. To do the bottling you sterilize your siphon and bottles then carefully decant the finished wine from the carboy into the bottle. The wine mellows as it ages so it’s advised to let the bottles lay on their sides in a cool place for another six months before drinking. 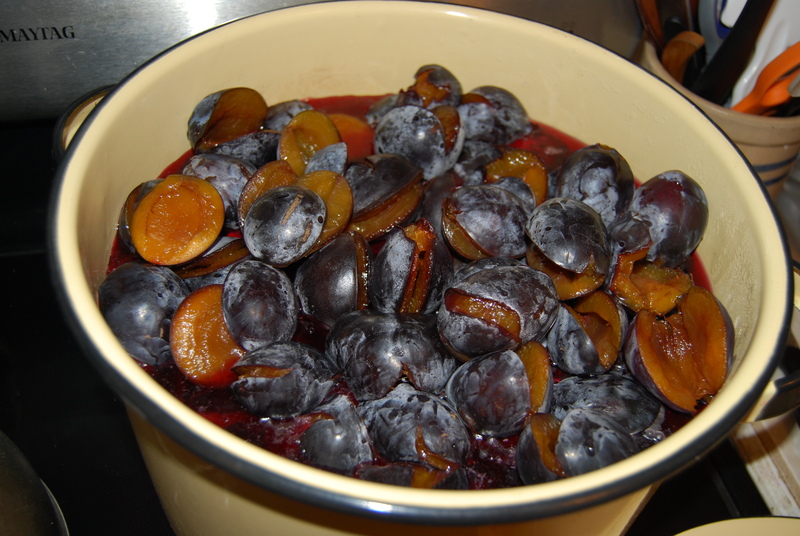 This year we have few plums but you could dry this recipe with other fruit like peaches or nectarines. Recently my neighbor invited me to pick his plums. “Sure!” I said with avaricious glee. Later that night as the fruit flies multiplied in the plum filled sink and the smell of fruit on the edge filled the air I wondered what in the world I had done; my freezer was packed, my shelved were filled with dried and preserved fruit and by tomorrow this treasure would be compost. “Wine!” I thought “I will make wine!” I had never done this before but desperate times call for desperate measures and as the unwashed dishes began to pile up and the flies reached a fever pitch of activity it was clearly time to do something. Plums ready to become wine. A survey of the internet showed a huge amount of differences in formulation. 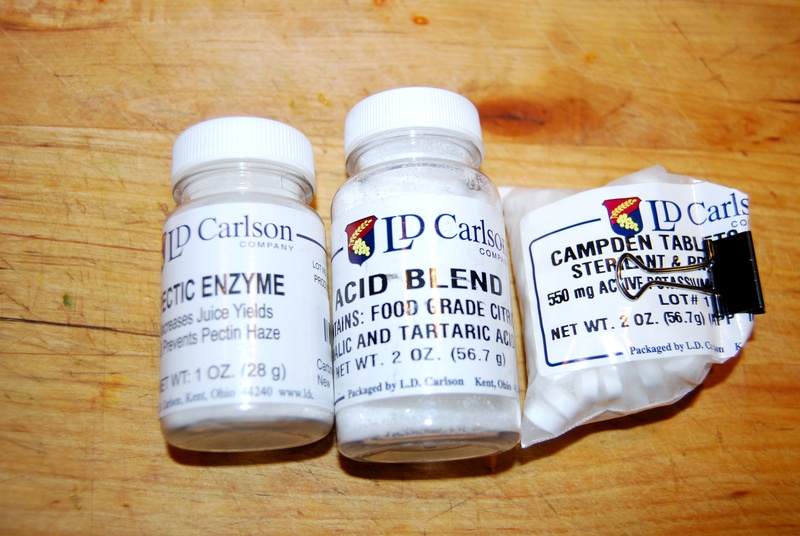 But after a while a few patterns did begin to emerge; most recipes needed campden tablets, pectic enzyme, yeast, acid and sugar. 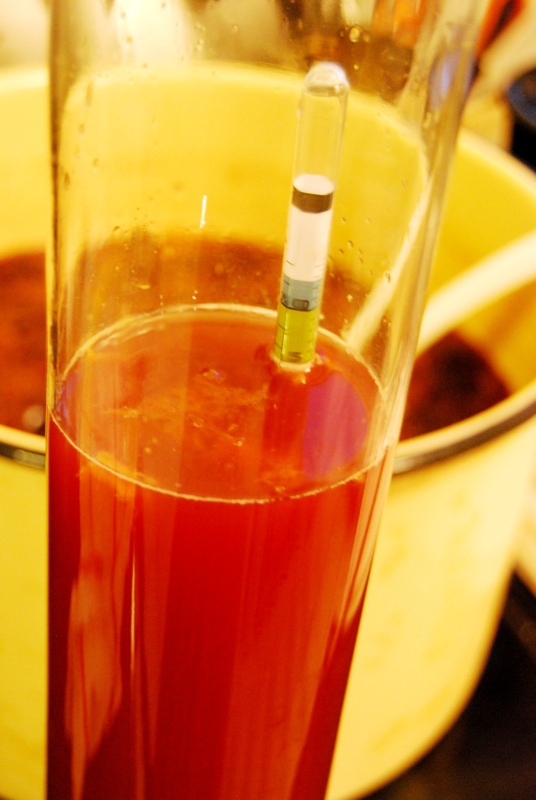 I ordered the more exotic items on-line, as well as a hydrometer and began to pit the plums. Extras to make great wine. 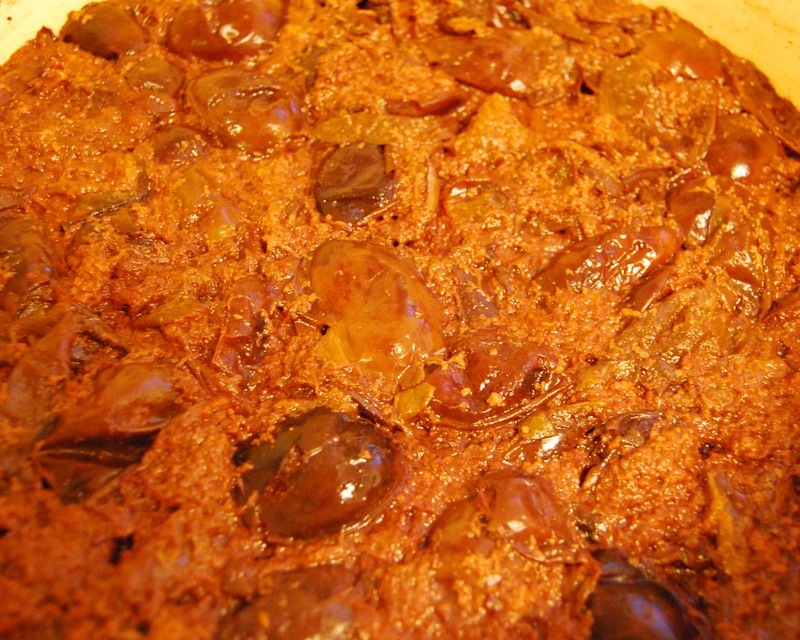 Once the plums were pitted I weighed them out, covered them with boiling water, crushed and added a couple of campden tablets and let them sit overnight. The boiling water and tablets discourage the growth of unwanted organisms. The next morning I added in the pectic enzyme and acid. The enzyme helps break down the fruit and the acid improves flavor and storage. That night I made a sugar syrup and added this in. The following morning I put in a packet of yeast and covered it up to ferment. When I got home the house had a faintly alcoholic smell and the pot was foamy and bubbling. I took a hydrometer reading to see where the starting point was and recorded it on a page in my homesteading journal. To get a good reading you need a long tube so the device can float. 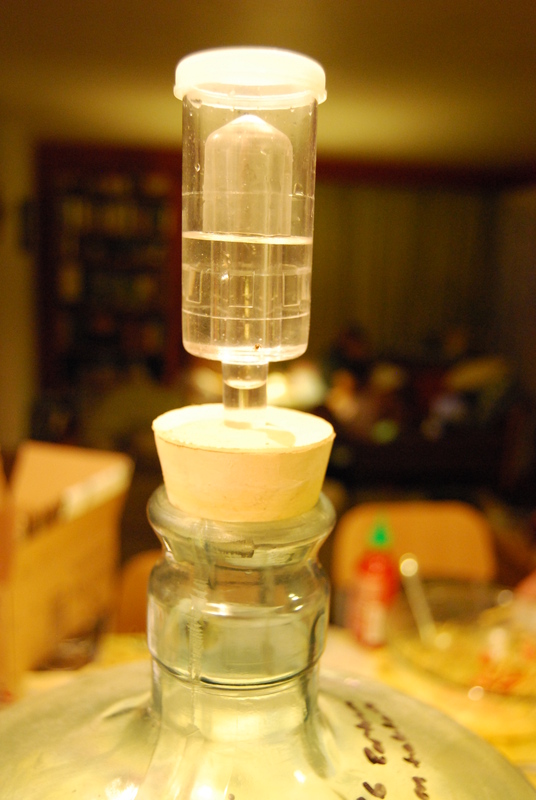 How to get a good hydrometer reading. The fruit was also starting to break down. Each day I gave it a good stir with a clean spoon in the morning and at night to break the cap on it. 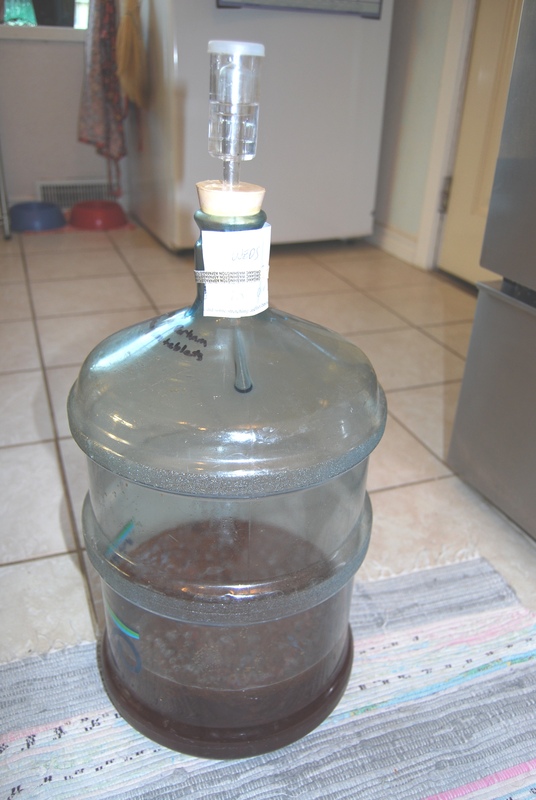 After a week I siphoned it into a clean carboy, put the airlock on top and crossed my fingers. Now it needs to sit for six months then I will bottle it and hopefully have some lovely plum wine. In the carbuoy and ready to transform into wine.